Mark Zuckerberg will return to Harvard 11 years after he dropped out from the University. The founder of Facebook will be the speaker during the 2017 Commencement Exercises of the university on May 25. Mark Zuckerberg dropped out from the university in 2006 to focus on the social media website he created. Zuckerberg's Facebook currently has 2 billion followers from all over the world. Harvard University will award him an honorary degree for bringing change to social media engagement around the world. Mark Zuckerberg will be the second Harvard drop-out to be given the honor of Commencement Speaker. The first one was Bill Gates, the co-founder of Microsoft. Bill Gates was Commencement Speaker during the 2007 Commencement Exercises of the university. To prepare for his speech, Mark Zuckerberg approached Bill Gates for some advice regarding his commencement speech. In his commencement address, Bill Gates expressed his gratitude to Harvard for inviting him as commencement speaker and for conferring him an honorary degree. Bill Gates stated how happy he was to have a degree to put in his resume. Harvard has become famous for producing men and women who have become professionally and financially successful. 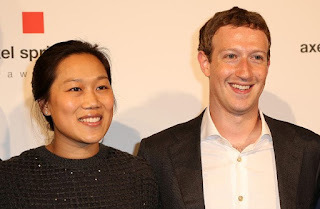 Producing two drop-outs who became billionaire is great feat.